Kruger, Joan with Dr. Burdette Leikvoll. Called of God, But…I Lost My Compass. Overland Park, KS: iCross Publishing, 2014. U.S. 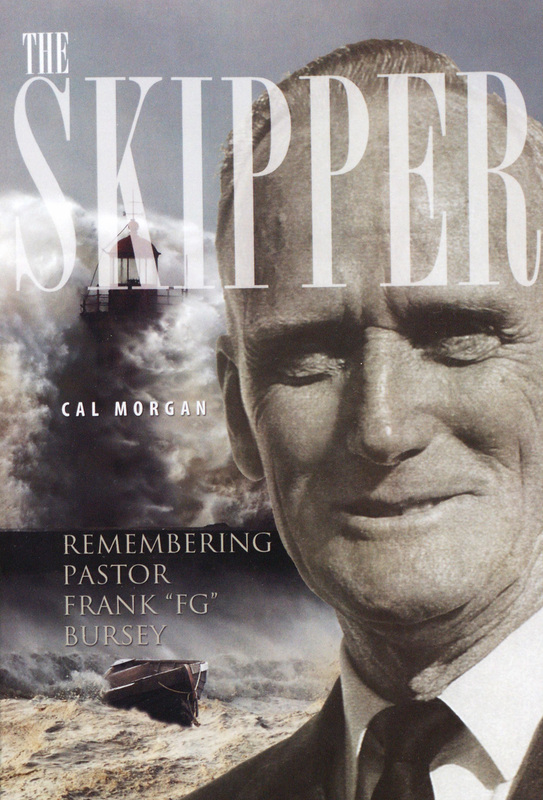 Missions: Celebrating 75 Years of Ministry. Springfield, MO: Gospel Publishing House, 2012. The Assemblies of God USA has always been dedicated to the mission of God, domestic and abroad, since its founding in 1914. While Assemblies of God World Missions (AGWM) was created in 1919, it was not until 1937 that Assemblies of God U.S. Missions (AGUSM) was created to bring greater organization to home mission efforts. This full-color, lavishly-illustrated coffee table book celebrates the 75th anniversary of AGUSM. This volume provides an overview of the history of U.S. Missions, as well as its seven departments, and is a wonderful tribute and memoir to Assemblies of God U.S. missionaries and their efforts to reach America with the gospel, that none perish. 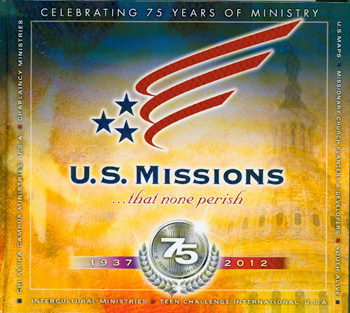 Chapter 1, “Highlights of 75 Years of U.S. Missions,” is an adapted and edited from A History of Home Missions of the Assemblies of God (1992) by Ruth Lyon. In Chapter 2, Kirk Noonan provides an overview of Chaplaincy Ministries, which includes industrial/occupational chaplains, prison chaplains, and military/VA chaplains. The Chaplaincy Ministries Department was started in 1973. Noonan reports, “Chaplains minister to service personnel, prisoners, the sick, dying people in crisis and trauma, athletes, truckers, bikers, cowboys, law enforcement personnel, fire fighters, factory workers, retirees, people involved in human trafficking, politicians, etc. To put it simply, where there is someone in need, there is a chaplain” (p. 21). Sarah Malcolm traces the history of Chi Alpha in chapter 3. Chi Alpha is the national ministry of the Assemblies of God USA to reach students, including over 700,000 international students, who are attending colleges and universities in the U.S. Founded in 1953, Chi Alpha is currently the fourth largest evangelical campus ministry in the U.S. Malcolm states, “Chi Alpha is not just a program, it is a culture of disciple making. The transformed students and committed missionaries of Chi Alpha are laying the ground work for the next generation of the Assemblies of God and its leaders” (p. 50). Chapter 4, written by William Molenaar, explores the history of Intercultural Ministries. While intercultural ministries and evangelism have been a part of the Assemblies of God since its founding, the Home Missions Department was tasked with overseeing intercultural ministries in 1937. Later in 1945, the Intercultural Ministries Department was created within AGUSM. America’s multicultural past, present, and future creates both a great evangelistic challenge and a great evangelistic opportunity for the Assemblies of God USA. Molenaar focuses on five of the earliest and historic ministries: Jewish ministries, Native American ministry, ministry to the Blind, ministry to the Deaf, Alaskan ministry, and the various ethnic-language branches, districts and fellowships of the Assemblies of God USA. Joshua R. Ziefle wrote Chapter 5, which covers the history of Missionary Church Planters and Developers (MCPD). Originally founded in 1947, MCPD is tasked with identifying, supporting and resourcing church planting and development missionaries appointed by U.S. Missions. Ziefle notes, “For almost a century, the Assemblies of God has been a leader in church planting. Early Pentecostals were visionaries and entrepreneurs, buoyed by a vision to save the world and anchored by a deep commitment to Christ and God’s Word” (p. 71). Chapter 6 features a history of Teen Challenge International, U.S.A., written by David Batty, Ethan Campbell, and Patty Baker. The authors trace the inspiring story of David Wilkerson’s ministry in New York City to the global growth of the Teen Challenge. It is widely held that Teen Challenge is “one of the world’s largest and most successful drug recovery programs” (p. 89). Teen Challenge has been running over 50 years now with more than 1000 centers in 93 countries around the world. William Molenaar wrote chapter 7 regarding the U.S. Mission America Placement Service (MAPS) Department. U.S. MAPS “is the ministry within Assemblies of God U.S. Missions that assists churches, schools and ministries by coordinating volunteers with construction and evangelism projects” (p. 99). MAPS originated in 1967 as an inter-departmental effort of the Assemblies of God National Office to mobilize laity to participate in the mission of God both home and abroad, and today has a thriving RV volunteer ministry. Finally, Chapter 8, written by Kevin Dawson, traces the development of the Youth Alive Department. Dawson explains, “Youth Alive is a missionary movement dedicated to equipping and releasing students to reach the middle school and high school campuses of the United States” (p. 118). Youth Alive not only develops campus clubs, but it mobilizes young people to be missionaries to their schools. Today, Youth Alive is in 15 percent of the middle schools and high schools in the U.S. Readers will enjoy reading the substantive histories of U.S. Missions, as well as browsing the historical photographs throughout the book. Flower Pentecostal Heritage Center staff provided images and significant editorial assistance in the production of the book: William Molenaar authored two chapters, Glenn Gohr checked facts and citations, and Gohr and Darrin Rodgers provided extensive editorial work. Few books are both attractive and add to the body of scholarly literature. This book achieves both. U.S. Missions: Celebrating 75 Years of Ministry will be warmly received by both scholars and those who lived the history. This commemorative volume should be added to your personal library and is also ideal for your coffee table, waiting room, or as a gift. Hardcover, 128 pages. $25.00 retail. Order from: Gospel Publishing House. Register, Margaret. A Place for People, Puppets, and Cockroach Soup: Pioneering Delightfully Over-the-Top and Seriously Under-Budgeted Christian TV Productions. [S.n.] : CreateSpace, 2012. Once again, Margaret (Maggie) Register delights us with an outstanding memoir. This time she chronicles, with humor and pathos, the formation of STAR Ministries, an Assemblies of God World Missions television and radio production studio. Margaret Register speaks in a conversational tone, drawing the reader first into her experience in Guatemala where 18,000 children came to a basketball stadium to see the “stars” of Lugar Secreto, the children’s show she and her husband, Joe, produced. She is authentic in describing, sometimes with great humor, the struggles, setbacks, and joys of learning television production—first as “talent,” then as floor director, and finally as producer—and the unexpected traumas of life as a “foreign” missionary based in the States and working with dozens of volunteers. After ten years as missionaries in Chile and Paraguay, South America, Joe and Margaret Register wanted to produce a television talk show in Spanish. But, how does one begin a first-time-ever ministry of Spanish Television and Radio? Joe and Margaret did not even consider doing a show for children. Not at first. A Place for People, Puppets, and Cockroach Soup recounts amazing, funny, heart-warming, sometimes near-tragic stories of how God took His plan and wrapped it around the far-reaching dreams and hard work of a dedicated family—Joe, Margaret, daughter Crysti, and son Timmy—and a host of God-sent volunteers. They did not know how to build sets, run cable, operate cameras, develop “characters” or write scripts. They learned by trial and error, with a budget always stretched to the limit. But God gave creative ideas and sent gifted volunteers and delightful puppets. The result was El Lugar Secreto (The Secret Place), a series of award-winning shows for Spanish-speaking children. These true stories display fascinating, unique events as God’s grace and wisdom astound Joe and Margaret as they developed a very successful television ministry that would eventually reach all of Latin America and be broadcast on fourteen satellites into 200 countries. From language study in Mexico to the country of Chile and then to Paraguay, Margaret, in her first book, No Place for Plastic Saints, recounts vividly an earthquake, a dead body on a table, and chicken feet in soup. Joe and Margaret lived in Temuco and in Viña, Chile, and later in Paraguay, where they began a very successful television ministry that would eventually reach all of Latin America (the story she tells in this, her second book). Margaret Register has done a great service to the body of Christ in writing A Place for People, Puppets, and Cockroach Soup. She excels in painting delightful and vivid word pictures so that you, the reader, feel you are there with her as she walks through each dramatic story. This is truly an authentic account of the good, the bad, and the miraculous in the life of a dedicated missionary family. This book is a must read! Paperback, 273 pages. $17.99 retail. Also available in Kindle. Order from: Amazon. Bundrick, David and Steve Badger, eds. Proceedings of the Inaugural Faith & Science Conference. Springfield, MO : Gospel Publishing House, 2011. The uneasy relationship between faith and science existed long before church leaders censured Galileo for his defense of heliocentrism in 1633. The tensions that potentially exist between biblical faith and scientific advance can be perplexing and faith challenging. As today’s world grows more reliant upon scientific advancement, the Church is increasingly filled with scientifically literate believers who expect and deserve a prayerful, well-reasoned approach to the myriad ways in which science intersects with their faith. In recognition of these trends, the General Secretary’s office of the Assemblies of God recently sponsored a first-of-its-kind conference for the Fellowship. The Inaugural Faith & Science Conference took place on Evangel University’s campus in Springfield, Missouri, in the summer of 2011. Equip teachers and spiritual leaders to better evangelize and disciple followers of Christ who are increasingly scientifically savvy. 13. Perspectives on Origins: How Diverse Are Pentecostals? 29. Creation Crisis? Proclaim God’s Wonders! 32. The Journey of a Christian Layman with a Science and Technology Background: How Can We Bring Science-Educated People to Christ? These provocative and insightful sessions and articles are invaluable tools for preparing readers to effectively minister to those who desire a Christian theology that can engage science meaningfully and constructively. Paperback, 348 pages. $19.99 retail. Order from: Gospel Publishing House. Clark, Paul. German Pentecostal Church Planting, 1945-2005: Implications for Intentional Mission in the Twenty-First Century. Benton Harbor, MI: Priority Publishing, 2011. Pentecostalism is booming. From Capetown to Singapore to Rio de Janeiro, the barely hundred-year-old movement is making its presence felt wherever it goes. Its continuing expansion across the global South in recent years has, among other things, created a veritable cottage industry for those willing to research and discuss the work of the Holy Spirit in the myriad cultural worlds of the now. The flurry of popular and academic attention to such contemporary developments has been intense. In the process, however, many older and just as unique indigenizations have been ignored. This volume by Paul Clark is a helpful corrective to this trend. By focusing on German Pentecostal church growth over the past 60 years, Clark reveals the movement’s unique path in the heart of old Europe. As a veteran missionary church planter in Germany, Clark’s approach to his subject matter is both informed and immediate. The careful research work he has done here tells of a religious movement nearly as old as Azusa Street, but which developed under vastly different circumstances. Clark’s purpose is to provide “insights to assist present and future church planters in Germany” (5) as they and others come to “understand contextual and theological issues unique to Germany” (10). Following a literature review of the German language sources relevant to the topic at hand, a discussion of biblical models of church planting, and the context of the Freikirchen (Free Churches), Clark turns his attention to the deep history of Pentecostalism in Germany. Outsiders from the beginning, German Pentecostals were not welcomed in the state-funded churches and came into existence as culturally suspect “Free Churches.” Not long after the movement took root in 1906, German believers faced the additional pressure of being labeled as cultic and even Satanic by fellow evangelical Free Church Christians—not to mention German society at large. For Clark, this 1909 Berlin Declaration helped create an image of Pentecostals that has been as damning as it has been lasting. The five German church groups studied for this monograph are: the Bund Freikirchler Pfingstgemeinden (BFP), the Volksmission, the Ecclesia Fellowship of Churches, the Mulheim Association, and the Church of God. Clark investigates all of the German-speaking church plants operating with the cooperation of these groups in the post-WWII era, provided the congregations are still in existence. He then sorts the churches into eleven categories according to the circumstances of their founding. Clark rejects two of these categories–churches founded by refugees from the East and by splits in existing churches–as poor models upon which to base further church planting. Planting churches by use of evangelistic meetings, while showing some success in the past, is also downplayed as less than useful in modern Germany. The remaining categories of historical church planting retain viability for Clark: resident clergy or layperson initiated, mother church plants, foreign missionary initiated, organic development from the Charismatic Movement, non-resident clergy/lay initiated, home cell group initiated, derivatives of youth oriented ministry, and as the result of proximity to a national or international ministry. Of these models, Clark elevates the mother-daughter church paradigm as key. Further, he strongly encourages the use of interpersonal missionary connections rather than institutional outreach. Clark’s study has much to commend it. Most notable is the care and diligence with which he assembles the data that comprises this study. Scholars and church leaders will be glad of it for years to come. For the English-speaking reader, his is a rare insight into German Pentecostalism that elucidates the unique context of Pentecostalism in a secular land that maintains its cultural allegiance to a state-funded Staatskirche. The slow numerical growth witnessed by church planters in Germany is thus not surprising. Clark’s additional observations about the use of the home cell group and suggestions for dialogue and cooperation between the major Pentecostal groups once again reminds readers that his knowledge of the movement is both as deep as it is practical. Alas, there are some drawbacks to Clark’s work. First, he often lacks the specificity needed to adequately make his point. Throughout the book and in his title, for instance, he continually refers to the need for “intentional” ministry. The term is both undefined and overused in the book, in the process rendering it essentially meaningless. By not clearly spelling out what he means theologically, he weakens a major piece of his argument. So too his occasional assertions of “emotional excesses” (49) on the part of some German Pentecostals remains opaque. He neither historically nor philosophically explains what he means by this language, in the process clouding one of the criticisms made against the movement. Second, Clark’s approach is rather unfocused. He does well in establishing the facts on the ground and analyzing the data, but when he moves from analysis to practical recommendations, he seems to have missed a step or two. His approach to his findings and suggestions mostly takes the form of lists. While some of what he has to offer is vital, other conclusions—such as “pastors need to lead by example” (146)—seem neither particularly profound nor necessarily derived from his research. A more focused thesis, the removal of excess and sometimes unnecessary commentary, and more deliberate argumentation would help organize his findings more helpfully. In spite of these drawbacks, Clark’s work stands alone as one of the only—if not the only—full-length English work on indigenous German Pentecostalism. Because German Pentecostal Church Planting, 1945-2005 exists at the crossroads of the historical, sociological, practical, and theological, it is hard to criticize it for occasionally unwanted editorializing. Many of Clark’s comments are both insightful and apropos, and will bear much fruit for those willing to read both his monograph and peruse the associated twenty-two appendices of data and related material. Missionaries, pastors, and other ministry workers in Western Europe will be wise to study it closely as they contemplate the work at hand. English-speaking students of global Pentecostalism and sociologists of religion will alike both find much to provoke conversation and reflection on this small corner of the diverse and changing world religious landscape. Published also in German: Clark, Paul. Die Gründung von Pfingstgemeinden in Deutschland, 1945-2005 : Implikationen für intentionale Mission im 21. Jahrhundert. Benton Harbor, MI: Priority Publishing, 2011. Paperback, 280 pages. €16.95 retail. Order from: Priority Publishing.